Flokinet provides safe harbor for freedom of speech, whistleblower projects and free press since 2012. Thousand+ customers use Flokinet services for personal and business needs. It offers quality servers without personal information and never allows third party access to any data. Moreover, it provides high-quality servers’ including shared, VPS, domains and colocation. Company ensures the security of customer’s data and offers communication encryption systems such as crypto, OTR, PGP emails and Jabber. Apart from this, it includes DDoS protection, daily backups, VoIP packages, full access and many more. 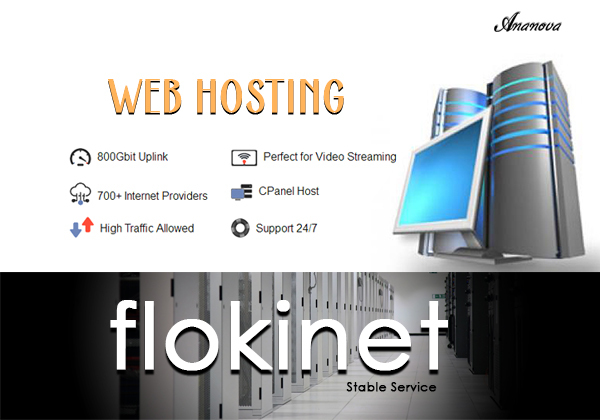 Flokinet provides a range of features such as Cpanel, email based support and application based support like PHP, SQL, MySQL, Postgre, etc., Fantastico, FTP accounts and more. In addition, technical support available 24/7 via email, phone, chat or ticket.